In the span of a few months, Alexandria Ocasio-Cortez’s Green New Deal efforts have gone from full speed ahead to stalled with no clear path forward. The freshman Congresswoman initially had momentum behind her green efforts, but her plan has quickly become a joke on the right and the subject of serious skepticism from moderates. 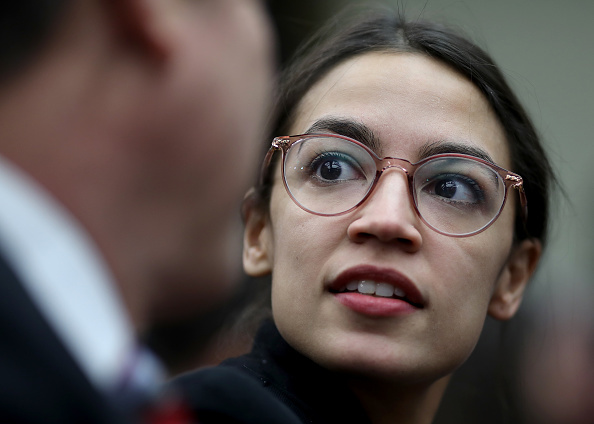 Many in her own party will broadly give lip service to the idea of a Green New Deal without giving full-throated support because of obvious flaws in the plan. Others on the left point out the need for realistic solutions. The problems began when Ocasio-Cortez bungled the plan’s rollout. She refused to say how much it would cost. Her office released a memo saying she wanted to eliminate farting cows and airplanes. They proposed paying people unwilling to work. Much of the plan had nothing to do with the environment at all. The Green New Deal was dealt a major, embarrassing blow last month when it received zero votes in the Senate. Not even Ed Markey, the Senate sponsor of the bill, voted for it. A number of Democratic Senators joined Republicans to vote it down. Now, Ocasio-Cortez is admitting what we’ve known for a long time – that she completely botched the rollout of her signature plan. Over the weekend, she told a Yahoo News podcast that her rollout was “too fast” and allowed others to “hijack the narrative.” She says the rollout was “muddied” by her office. Here’s the thing – no one “hijacked” her plan. It was simply a ridiculous proposal to begin with and was mocked as it rightly deserved. It’s Ocasio-Cortez’s fault that she refused to provide numbers or explain how any of the Green New Deal was technically feasible. It’s on her for trying to claim a government takeover of healthcare as environmental policy. But even with these political missteps, Ocasio-Cortez cannot blame the plan’s lack of popularity on sloppy political process. Messaging and rollout aside, Americans can see that the Green New Deal is a threat to the economy, their basic freedoms, and the financial solvency of the U.S.